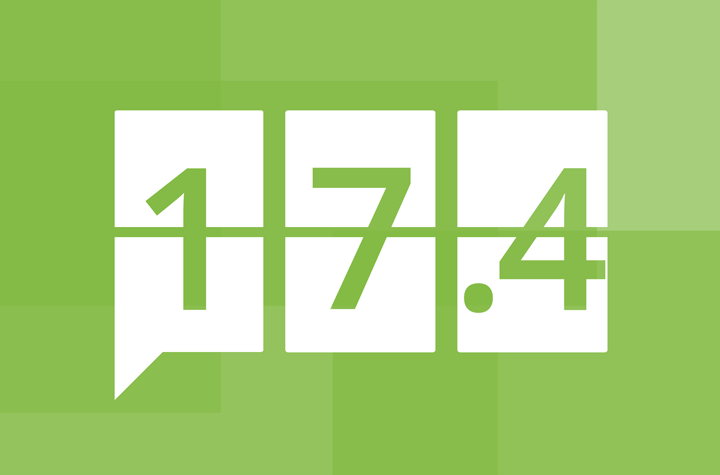 The productive PaperCut Dev team have been working tirelessly and have just released PaperCut MF version 17.4. This could be the last v17 release for the year. Even though this is a minor point release update from PaperCut HQ there are some significant enhancements to the current feature set. This release is focused on achieving parity across vendors with the introduction of Integrated Scanning on Ricoh’s SOP (SmartSDK) devices. There are also a number of enhancements for Konica Minolta and Toshiba to help improve the user experience on the device. 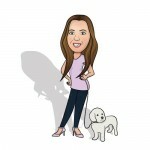 Also thrown in are a couple of popular end-user requested enhancements for Mobility Print. Integrated Scanning on the SOP platform will ensure feature parity across all Ricoh devices, delivering integrated copy, print and scanning from an all-in-one intuitive user interface, providing a consistent and seamless experience to all users. As an added bonus the SOP platform now supports the tracking of jobs to and from USB storage devices as well as allowing further customisation of the intuitive interface for users. 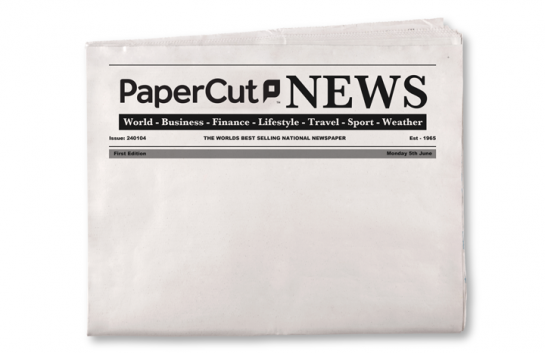 Similar to the changes made in 17.3 for the login process on Xerox devices, PaperCut has made changes in this release to the Konica Minolta solution. These changes will allow for more flexibility when configuring how users access PaperCut MF functionality on embedded screens. Oh, and the certified PaperCut MF connector is now at version 3.4.0. The Toshiba V3 app for MDS, introduced in PaperCut 17.0.2, now supports additional workflow options. This will allow the user to go directly to the native device menu after log in, or to the PaperCut print release screen, or to the PaperCut Home screen, depending on configuration and user state (e.g. whether or not they have pending print jobs). In addition, configurable app launch buttons have been added to the PaperCut Home page, providing similar functionality to the custom buttons available for the Toshiba V2 application. Since the last release, there has been a number of updates to Mobility Print. These have included (the often requested) support for Linux and macOS environments for the Mobility Print server. The installer can be found here. The DNS user experience has also been updated to allow for an easier setup experience. SysAdmins are now guided through configuring the DNS entries based on detected search domain that the Mobility Print server is able to detect. With PaperCut 17.4, PaperCut have introduced a printer-only license and device type for Single Function FutureSmart 4 Enterprise devices. This license and new device type may be used with any Enterprise and Managed Single Function printers with FutureSmart 4. As always, the full PaperCut release notes are at the bottom of the page. 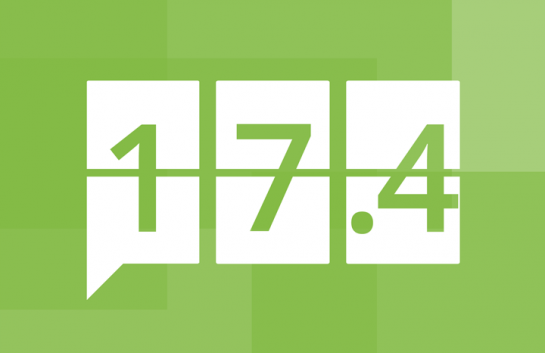 If you require training or simply wish to talk about 17.4 then reach out to our ever helpful channel team. PaperCut MF 17.4 Release Notes. Support for Integrated Scanning. The all-in-one intuitive user interface provides a consistent and seamless experience. Support for customizing the logo, and more. For more information, see the Copier / Device Integration section for Ricoh (SmartSDK). Support for Linux and macOS environments by the Mobility Print server. DNS setup is even easier with a new improved workflow in the Mobility Print Admin interface to help you configure DNS-SD. stop blocking the release when the print queue is no longer in an error state. Improved the wording of the “Make shared account/PIN code visible” security options in the Account Options area on the Options > General page. Web Print Sandbox mode security**: The confg key that controls document macros is now disabled by default (web-print.disable-macros). Basque translations are now available for Ricoh (SDK/J) version 6.0.4 and the PaperCut MF User web interface. Mac and Linux: Fixed an issue where the printer toner level, model, and serial number was not updated on the Printer Details page for printers using some Xerox drivers. Windows Print Provider: Fixed a rare issue that caused Print Provider to crash if PDL transforms were enabled. Microsoft Applications on Windows 10: Fixed a rare issue that caused print jobs not to be tracked when printing to Windows servers with server side rendering, when Hide Document Names have been activated. HP printers on a Windows 10 or Windows Server 2016 print server: Fixed an occasional issue that caused an incorrect number of pages to be reported when printing multiple copies. Fixed an issue preventing device license numbers on the About page from updating after adding a new device. Site Server: Fixed an issue to improve Site Server registration and sync performance in organisations with many Site Servers where some Site Servers some times incorrectly switched to the offline mode. Added support for C90xx and C70xx models. Added support for OmniKey 5127CK and OmniKey 5427CK card readers. PaperCut MF now supports HP FutureSmart 4+ Single Function Printers (SFP), offering a simplified setup that doesn’t require manual deployment of the embedded solution on the device. Note: Existing HP FutureSmart licenses can be used for the new HP FutureSmart 4+ SFPs. However, if you do not have an existing HP FutureSmart license, you can purchase a lower-cost SFP license. Added support for models with high resolution (1024 x 768) screens. Fixed an issue when using touchscreen scrolling that incorrectly selected and deselected held print jobs on the PaperCut MF Print Release screen. Fixed an issue that incorrectly allowed users to access the device’s web interface. The certified PaperCut MF connector version is now 3.4.0. Added more detail and clarity to the message displayed when a user who is logged in to two devices simultaneously, releases a job from one device that has already been released from the other device. bizhub PRO 1100 devices: Fixed an issue that created unnecessary text line breaks in the login instructions on the native device’s login screen. The cursor on the PaperCut MF login screen now automatically jumps to and highlights the relevant field that needs to be entered. Devices enabled with fast access and release all jobs on login, will now display a message about the number of jobs automatically released. Fixed an issue that prevented a custom “Guest” button label from being displayed. Removed an unnecessary Device Status error message during PaperCut MF device registration. The “Cancel” button has been removed from the Scan-in-Progress screen to prevent users from attempting to cancel scan jobs in progress. Fixed an issue that caused scan jobs to be charged but not delivered when users logged out before pressing “Send”. Fixed an issue that caused scan jobs to be incorrectly charged twice, when the device’s hard “Start” button was pressed more than once to initiate the scan. Fixed an issue that prevented users from navigating from the Print Release screen to the PaperCut MF Home screen. The checkbox text “Scan multiple pages from Glass” on the PaperCut Scan Details / Scan Settings screens has now been changed to “Prompt for more pages”. The button text “Device Functions” on the PaperCut Scan Details / Scan Settings screens has now been changed to “Continue”. Added more detail and clarity to the “Would you like to scan more?” message on the screen with the “Scan more” or “Send” options. Improved performance and UI responsiveness. Fixed an issue that prevented restricted users with account balances less than 0.001 from accessing device functions. Polish locale: Fixed an issue that caused Zero Stop to fail. Fixed an issue when copy jobs using a paper size other than A3, A4, A5, LEGAL, LETTER,SIZE_11x17 were incorrectly charged as A4. Added a detailed message with required actions when PaperCut MF is being registered on the device for the first time and native device authentication is already enabled and detected. Fixed an issue that failed to uninstall PaperCut MF from the device, displaying the message “MiddleAuthServer”. Reports: Fixed an issue on the “User print/copy/scan/fax – breakdown” report that incorrectly reported color scan jobs as grayscale. Integrated Scanning: Added more detail and clarity to the error message on the Device Details page when enabling Integrated Scanning on devices that do not support browser authentication applications. Fixed an issue preventing copying on devices with firmware version 040.087. Fixed an occasional issue that incorrectly logged users in to PaperCut MF and access the native device functions as a “guest” when the device was inactive while the cursor was on the PIN/ Password field. Fixed an issue when using the the device’s hard “Start” key that incorrectly authenticated users to log in to PaperCut MF as a “guest”. Improved resilience to network connectivity issues. The config key ext-device.lexmark.approved-actions now accepts wild cards as a valid input value. Fixed an issue that prevented the embedded application from being installed via the Remote Operation Client. Fixed an issue that sometimes caused Integrated Scanning Zero Stop to fail when using a payment gateway. Basque translations are now available. Added support for Integrated Scanning. Added tracking for printing from USB. Added support for setting the user’s PIN at the device panel if the user does not already have a PIN assigned. Added the ability to use the numeric keypad for ID number and account code. Added the ability to prevent the panel from going to sleep when card authentication is enabled. Added the ability to customize the logo. Fixed an issue that prevented LAN-fax jobs from being sent. Shared accounts: Added the ability to enter comments and invoicing details when selecting a shared account at the device panel. Fixed an issue where the locale override was not applied to the submitted time for print jobs. Fixed an issue causing Zero Stop to be triggered based on the most expensive job type rather than the current job type. Fixed an occasional issue that caused buttons on the Print Release screen to become unresponsive. Fixed an occasional issue that logged users out of PaperCut MF, and not the device functions, when the panel sleep function failed to work. Fixed a layout issue on the Print Release screen of the device when using the Portuguese language. SDK/J authentication is now disabled when configuring the Remote Operation Client. “Print & Delete Scanner Journal” is now automatically set to “Delete Oldest”. Updated the bundled RXOP library to version 3.5.16. Added the logged in user’s username to all screen footers. First generation devices: Fixed a formatting issue when the Account Selection screen is translated. EIP 1.5+: VersaLink and AltaLink devices: Fixed an issue that incorrectly locked the device, preventing subsequent users from being able to log in, when the logout button on a PaperCut MF screen was repeatedly pressed by the current user. **All Web Print sandbox servers must be updated to apply the default behavior of the config key (i.e. disabling document macros by default).